Bachelor Degree: Save time and money: 10% discount voucher here! Get Your Bachelor Degree Fast! Young people all over the world dream of a successful life. A good higher education at an university or college is often the basis. Especially in those regions of the world with high access hurdles to academic degrees. For example in Kenya, approx. 70% of the high school graduates want to go on with secondary education at a college or university. Thus given, one of the biggest hurdles for getting higher education is to get a place first at a college or university! The high competition presents the most significant challenge to applicants. The limited positions are given to those with top qualifications. The second big hurdle are the costs to study at a university. Let's stick to the example of Kenya. The costs vary depending on the study mode, course, university and sponsorship. 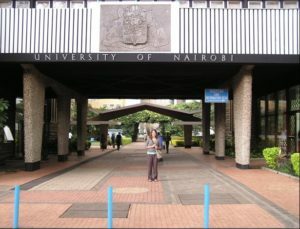 On average, a degree costs Government-sponsored students 40,000 KSH (300£) annually. However, for private-sponsored students, this varies from 150,000 KSH (1,150£) to 500,000 KSH (3,800£). 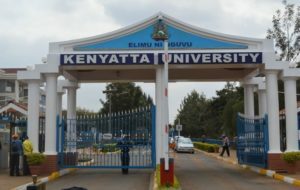 Public universities are cheaper than private institutions. Famous and excellent courses are more expensive at cost as compared to those not preferred by the majority. As such, courses in the field of engineering, law, medicine and computer sciences cost higher for a bachelor degree. In contrast, unattractive courses like education and sociology are cheap concerning tuition fees and overall costs. This page is the interface between your dreams and our possibilities! I have a partner agreement with the british Online Business School. I invite all young people who are willing to invest in themselves and to start online studies to get a bachelor’s degree. I show a pathway to an academic degree with the Online Business School. And you get a 10% discount on the course fee as soon as you enrol there for your first level course. Value of the 10% discount voucher: 180£! The are many advantages for online bachelor degree programmes. But, for sure, there are also many issues to consider. I have described the pros and cons in my quick online degrees article. Bachelor degree for less than 5,000£ ! You can start whenever you want, your place is ensured! You benefit of an acredited high level bachelor degree programme! You get your bachelor degree for less than 5,000£! You save up to 50% of tuition fee compared to privately sponsored regional universities! Bachelor degree programme: How does it work? When you enroll with the Online Business School, you will soon discover how quickly you can start to work towards your goal of a Bachelor Degree. Online Business School (OBS) offers you a variety of bachelor and master degree courses. You can participate online at all courses. Each module and assignment awards credits that are recognized by a range of Universities for advanced entry into their final year programmes. The coureses you need for a bachelor degree are the courses of Level 4 and the courses of Level 5. You can enrol for these courses either independently (each costs 1200£) or as a combined version (you pay 1700£ in total). The OBS courses at level 4 and 5 include 20 modules (10 at level 4 and 10 at level 5) with an online assessment multiple choice test at the end of each module to show your understanding of the content. Once you complete all 20 modules you then write 8 assignments, at each level, set by the awarding body ATHE. This programme is the equivalent of the first two years of a degree. It gives you 240 University credits on completion of the course. After this you can transfer your credits to a range of Universities we partner with that offer distance learning and on Campus top-ups to complete your degree ( the final year of a BA degree). There is an online multiple choice test at the end of each module to show your understanding of each module. Each interactive module is aligned against specific learning outcomes specified by OFQUAL, the government’s body for academic standards. You will receive a valid Uk degree which will of course be recognised in Africa to continue with a Masters programme! Explore the undergraduate programme courses of the Online Business School!Let's have a Messenger Chat! Level 4, for instance, is the equivalent of the first year of a Bachelor's Degree programme. Working through 10 modules and 8 assignments, you gain the equivalent of 120 university credits. When you progress through Level 5, it's the equivalent of completing a second year Bachelor Degree programme. Again, there are 10 modules and 8 assignments, gaining you the equivalent of 120 university credits. What's more, this level is equivalent to a HND Diploma, and so it's a valued qualification in its own right. After completing level 6, which has 10 modules and 6 assignments, you'll be eligible for a postgraduate business programme, including the coveted MBA. 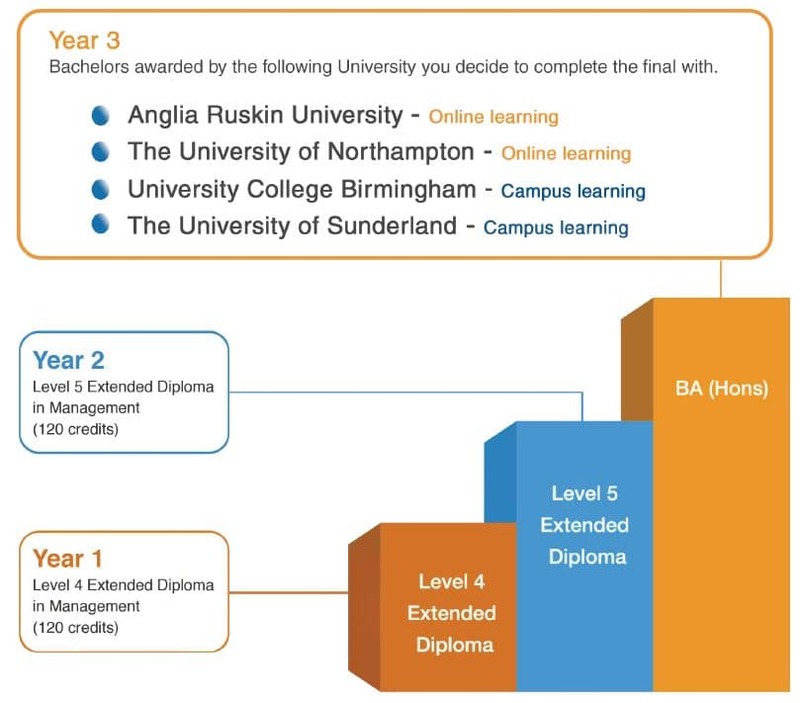 When you complete level 7, you'll be well prepared for the 120 credits you'll gain by doing 30 modules and 8 written assignments that will give you access to the MBA top-up, which can be completed either online or on campus at a recognised UK or overseas university. Remember the courses have been developed by leading experts in distance learning and you'll receive the best possible support every step of the way. ​What Entry Courses are Available? There are plenty of interesting courses to choose from when you study with the Online Business School at the start of your journey to a bachelor degree. Where to start? If you wish, you can begin with the Level 3 Business Management University Foundation Programme. This 'A' Level equivalent course consists of 6 modules and 6 written assignments, with 40 hours of assisted online learning in each module. During the study programme, you'll learn all the skills needed to work in a 21st century business, receiving an ATHE diploma, fully regulated by Ofqual, upon successful completion. Included in the course fees of £1700, are all the course materials, including the online modules and written assignments; personal tuition through 1-2-1 Skype sessions; first-rate student support; access to the friendly and dynamic online social learning forum; and all marking, assessment and feedback. And that's not all. You'll also be given a free NUS Extra card worth £12.00 and a FREE Laptop; plus free CV writing help on completion of the course. If you're over 16 with high school education and the goal of progressing to an undergraduate management diploma or even a university degree, you're eligible for this course. It's so easy then to move on to your bachelor degree course! Why Are OBS Programmes Attractive To Students? Students can quickly and simply enrol online. Assessments are carried out remotely by OBS. Students are awarded a Certificate of Completion with each module. Students have 24/7 accesses to their own learning platform so they can study in their own time. The entire learning experience is more engaging for the student. Students can purchase additional learning resources or tutorial support as required. Students can communicate with each other 24/7 through specially created Social Learning Forums. STUDENTS CAN GAIN MBA QUALIFICATION FROM A RANGE OF UK UNIVERSITIES EITHER ON CAMPUS OR BY DISTANCE LEARNING...FOR LESS THAN £5000! What exactly contains the OBS bachelor degree programme? How can I enrol for the OBS bachelor degree programme? How do I save 160 £ (10% discount voucher)? Fast-bachelor-degree.com is your online degree website for Africa. It’s for all people who are looking for self-paced, high quality but low-cost academic degrees. Boost your skills and your career with an online bachelor degree!